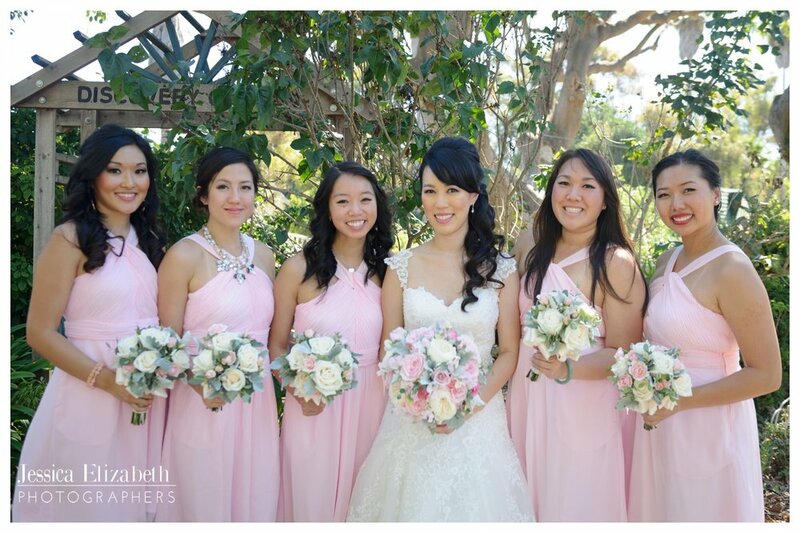 Melissa and Brian held their wedding at South Coast Botanic Garden in Palos Verdes. 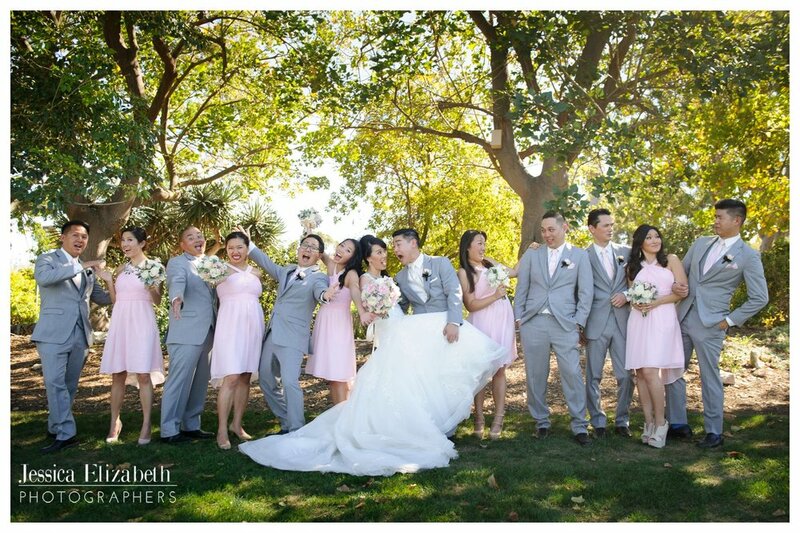 Although it was about 100 degrees outside, Melissa and Brian and their bridal party braved the sun, and we had an awesome time taking photos with all of them throughout the property. The South Coast Botanic Garden is a magical place. We have no doubt why Melissa and Brian chose this location for their wedding. It's a Garden of Eden here on Earth! There are grassy fields, majestic trees, hedges of lavender, and even a charming white bridge. 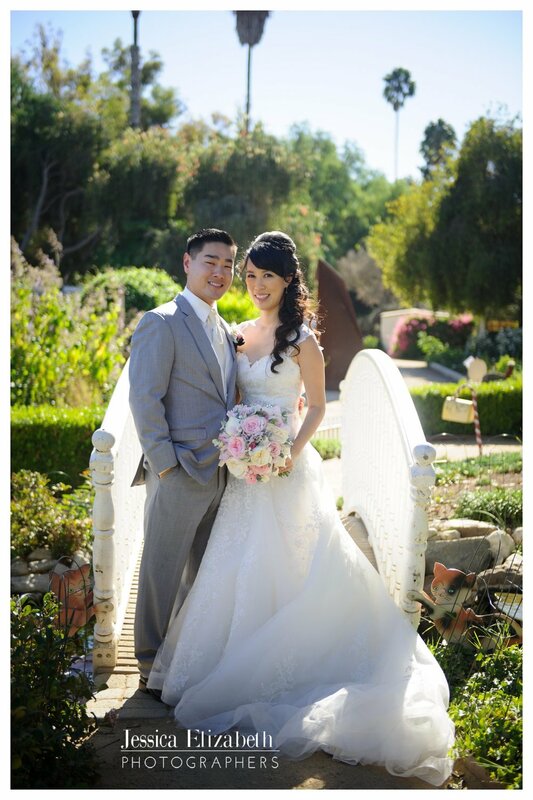 As if the location wasn't beautiful enough, Melissa wore a stunning white gown from Mary Me Bridal. She looked absolutely gorgeous! 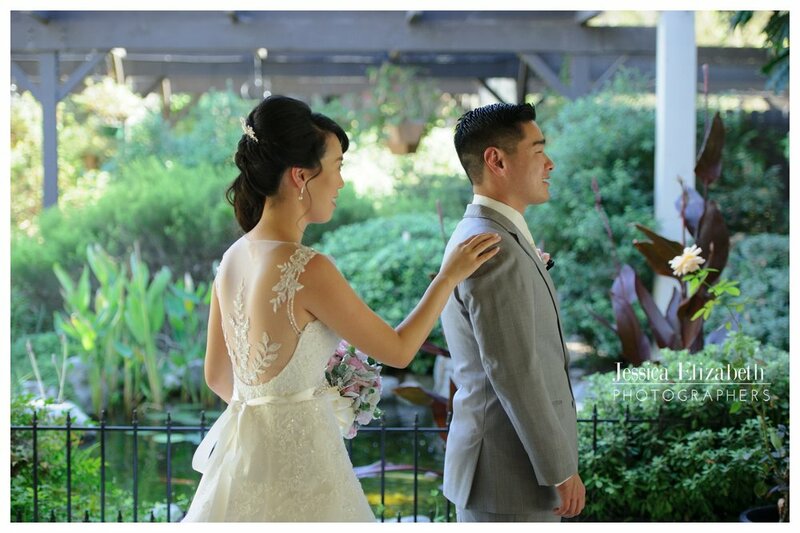 The gown was the perfect fit and style for her. 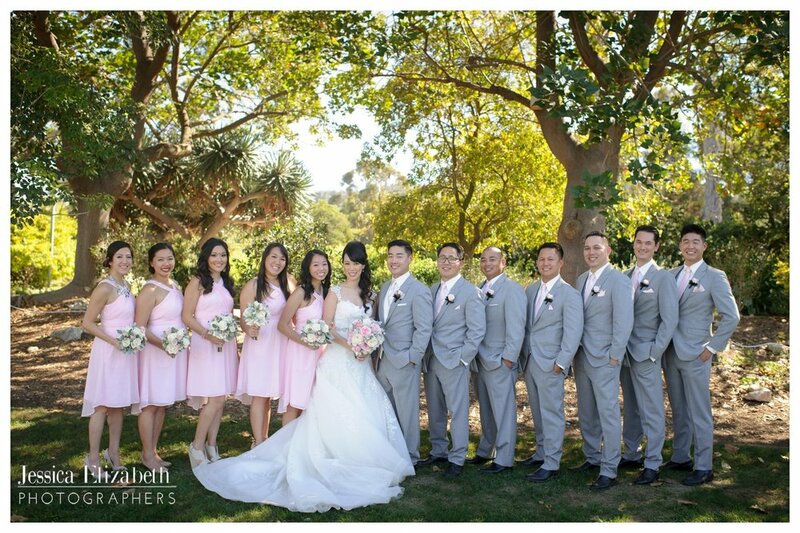 Brian and his guys looked handsome in their gray suits too. 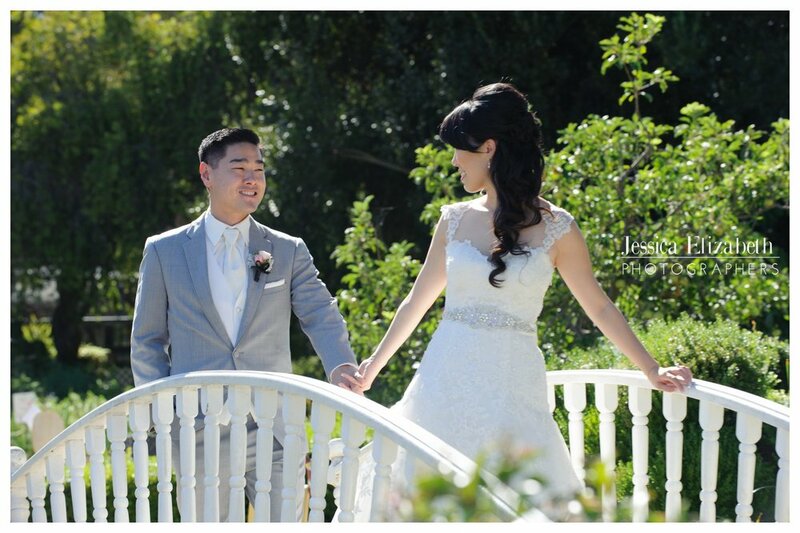 The ceremony and reception was held on a beautiful lawn surrounded by trees and hedges. A lovely private celebration continued past sunset under the twinkle lights and evening breeze. 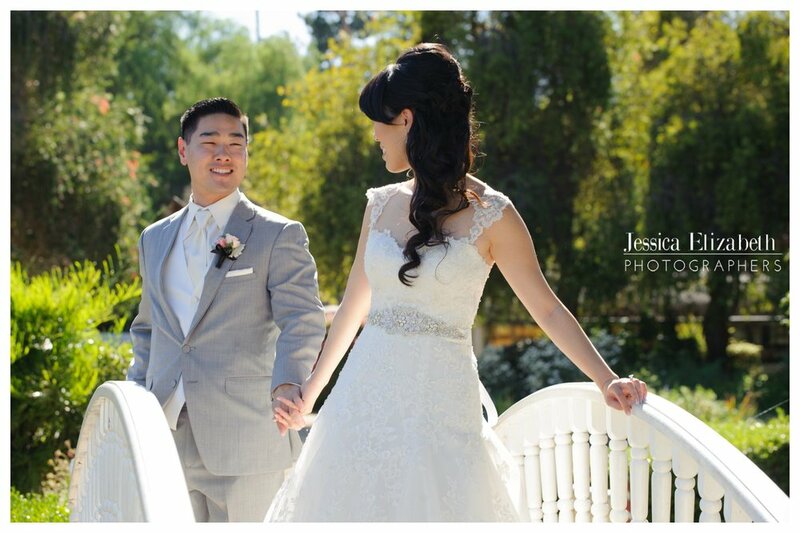 Melissa and Brian, thank you for trusting Robert and I and our team with your wedding day. We have enjoyed working with you both over the past several months. We love the adorable way you both smile and laugh with each other. We wish you many many years of love and happiness! 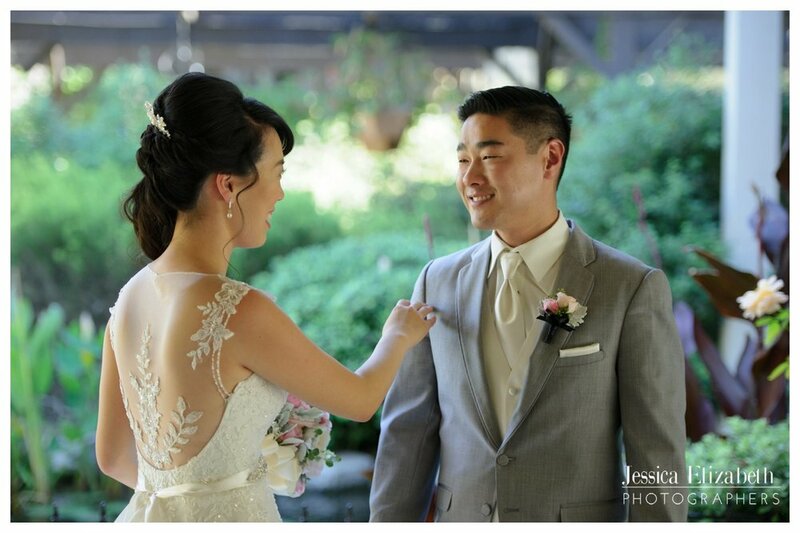 Special Thanks to Emilee of Tasteful Tatters for the beautiful coordination of this wedding. Emilee, we really appreciated your collaboration and communication regarding events throughout the day. Thank you!